The increase in Malta’s minimum wage this year was the lowest when compared to those of all other European countries, a review by a European Union agency has established. The agency, Eurofound, published preliminary findings ahead of its annual minimum wages review, which will be released later on this year. Eurofound is a European Union agency that oversees the improvement of living and working conditions in Europe. According to the fresh findings, while the majority of the EU countries increased their minimum wage rates between this year and last year, the rate of increase varied significantly between different member states. According to Eurofound, the hourly rate of Malta’s minimum wage went up from €4.25 last year, to €4.33 in 2019. While Malta’s minimum wage was classified as “medium level”, alongside that of Portugal, Spain, Greece and Slovenia, the agency noted that the island’s increase was notably lower than the rest of these countries. 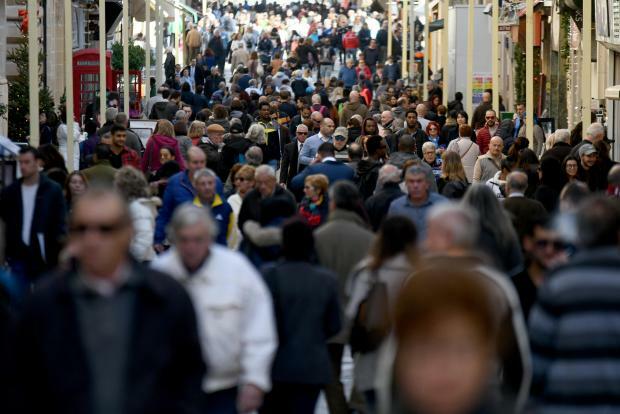 “Percentage increases were lowest in Malta (+1.9 per cent), followed by Portugal (+3.5 per cent) and Slovenia (+5.2% per cent),” the agency pointed out, adding that both Spain and Greece had “exceptionally high changes” this year. In Spain, the minimum wage increased by 22 per cent while in Greece it went up by 11 per cent. Official EU data issued last month showed that the average minimum wage across the EU was €924 – a far cry from the €762 earned by minimum wage earners in Malta. Bulgaria has the lowest gross minimum wage across the EU, at just €286, while Eastern European member states had minimum wages of between €400 and €600 a month. In 2017, an agreement was signed by unions, social partners and political leaders to increase the minimum wage by €8 per week. That year, just under 4,000 people were on the minimum wage. NGO Moviment Graffiti had noted the increase would only kick in once workers completed two years of employment, meaning it did not really raise the statutory minimum. Back in 2012, Prime Minister Joseph Muscat had called for the introduction of a “living wage” – a calculation of how much money a person needs to live a decent life – that would be significantly higher than the current minimum wage of €158 per week. Dr Muscat had later said it was “irresponsible” to raise the minimum wage. Contacted for a reaction, the General Workers’ Union told the Times of Malta that as a member of Eurofound, it had reviewed the report. The increase, the union said, is based on a mechanism agreed to by all social partners. “In our view the increase is not adequate and the whole concept needs to be revamped. This issue further resolves our commitment that the best way to tackle wages is by having all employees in a union of their choice so wages and working conditions can be improved,” a union spokesman said. The spokesman noted that, with a revamp of the whole mechanism, different measures can be implemented, such as the concept of the living wage. On whether the government was doing enough to address the issue, the union spokesman said that this is not just the responsibility of the government. “It is the responsibility of everyone, all political parties, social partners and NGOs. We need to discuss a way forward to help those most vulnerable, if we want to have a healthy society. This is what social mobility is all about”. Questions sent to the UĦM– Voice of the Workers remained unanswered.